Lawrence M. Schoen holds a Ph.D. in cognitive psychology and psycholinguistics. 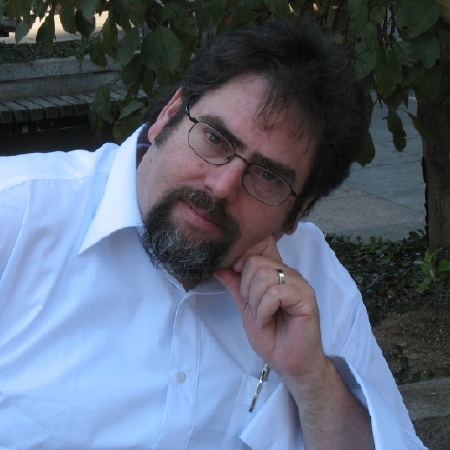 He’s one of the world’s foremost authorities on the Klingon language, as well as the publisher behind Paper Golem, a speculative fiction small press. He’s also a certified hypnotherapist and specializes in using hypnosis to help writers. He’s been a finalist for the John W. Campbell Award, the Hugo Award, and the Nebula Award. Some of his most popular writing deals with the ongoing adventures of a space-faring stage hypnotist named the Amazing Conroy and his animal companion Reggie, an alien buffalito that can eat anything and farts oxygen.